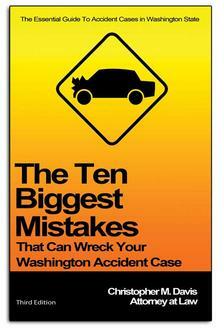 Rear-end accidents are among the most common type of car accidents we see in Washington state. Federal collision data from the NHTSA shows that rear-end crashes make up nearly 30 percent of all collisions in the United States. As is the case with all vehicular accidents, the severity of rear-end accidents can range from a minor fender bender to totaled vehicles and trapped occupants. It is important for car accident victims who are considering legal action to understand the many factors and causes of rear-end accidents, as well as the medical and legal issues that can have long-term consequences. While there are really no hard-and-fast rules regarding the determination of liability for any car accident case, it is typical for the following driver to be found at-fault for a rear-end collision. This is because drivers are expected to follow vehicles at a safe distance at all times, regardless of any other factor. Speeding: Traveling at a high rate of speed, especially in busy traffic conditions, can make it difficult to stop in a reasonable amount of time. Many rear-end accidents are caused by drivers who are not obeying the speed limit or driving too fast for traffic conditions. Following too closely: Impatient drivers who do not allow adequate room to compensate for the flow of traffic or sudden braking can easily find themselves at-fault for a rear-end crash. Aggressive or reckless driving: Weaving through traffic at a high rate of speed, tailgating, and road rage are all common causes of rear-end accidents. Distracted driving: Drivers who use cell phones or are otherwise distracted behind the wheel will have diminished reaction times and are often at-fault for rear-end accidents. Poor weather conditions: Rain, snow, and ice can negatively impact a vehicle’s ability to brake or turn. 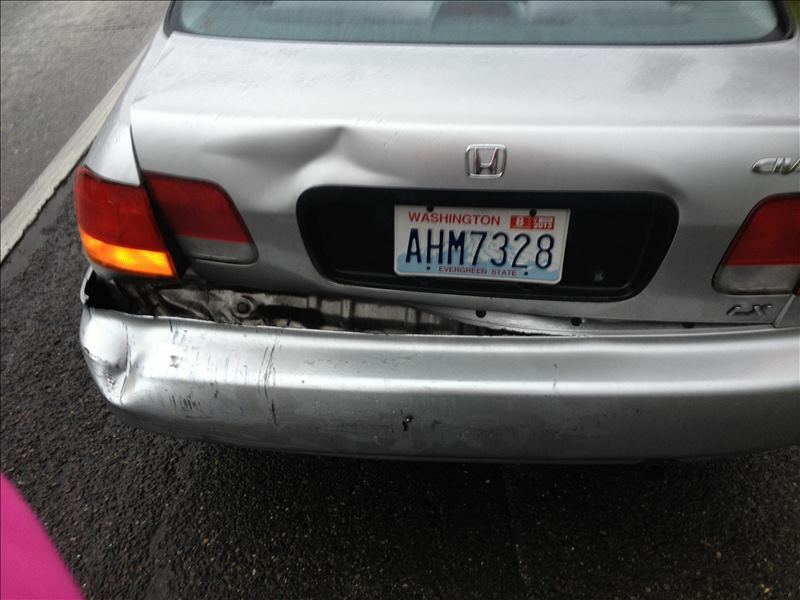 Many rear-end collisions occur in these weather conditions. It is extremely important for accident victims to seek medical treatment and undergo testing after a serious crash, especially if they wish to pursue legal action against the at-fault driver. Whiplash: A very common injury in rear-end collisions, as the rear impact often leads to the neck being jerked around suddenly without warning. Lacerations: Shattered glass and broken pieces of metal, as well as objects flying throughout the vehicle, can cause serious injuries in the form of a cut to the skin or worse. Fractures and broken bones: Particularly in high-speed rear-end impacts, the violent nature of these collisions can cause bones to fracture or break completely. Brain injuries: Traumatic brain injuries in car accidents typically occur when the initial impact causes a victim to strike their head on something inside of the vehicle. Bulging or herniated discs: The discs and vertebrae in the neck and back can become severely damaged in the event of a high-speed rear-end collision. These are just some of the more common injuries we see in rear-end accident. Regardless of the type of injury suffered, accident victims should focus on getting a clear diagnosis and treatment for any injuries they suffer in a collision. Rear-end motorcycle and bicycle accidents happen more often than you would think. Just like in rear-end car accidents, drivers may hit a motorcyclist or bicyclist in front of them when traffic suddenly comes to a stop or if a driver is not paying attention. These accidents can cause serious damage, impacting the person on the motorcycle or bicycle directly or throwing them forward over their handlebars. When a car runs into a motorcycle, it may life the back wheel off the ground and flip the motorcyclist and the bike forward and onto the pavement. In extreme situations at high speeds, the motorist may run over the motorcyclist if they cannot stop in time. Motorcyclists and bicyclists involved in rear-end collisions often sustain devastating losses due to medical expenses, lost income and benefits, pain and suffering, and much more. Consult with a lawyer in your area to learn more about your legal rights. Although the following vehicle is usually found at-fault for a rear-end crash, accident victims who have been rear-ended shouldn't get complacent and expect that everything will go smoothly. Obtaining a copy of the police report, seeking prompt medical care and treatment, collecting and documenting relevant evidence, and carefully filing a claim with the insurance company are important first steps that should be taken quickly. Once a victim’s injuries have been diagnosed, a prognosis for recovery has been established, and the insurance company has responded to the claim, it may be a good idea to contact an experienced attorney who has experience handling rear-end accident cases. The attorneys at Davis Law Group will review your car accident case absolutely free and help you better understand your legal rights and options. If we believe we can add value to your claim and increase the chances of a successful outcome, we’ll invite you to our office for a free legal consultation. Call our office in Seattle at (206) 727-4000 or use the confidential contact form on this page to have your case reviewed by our award-winning legal team.